22,000 coffee cups are disposed of in Ireland every hour, that is 528,000 every day or 200 million a year. Single use coffee cups are not on Recycling List Ireland and cannot be put in the Recycling Bin. Up to 200 million single use coffee cups are thrown away every year in Ireland, and cannot be disposed of in recycling bins. That is the message from Recycling List Ireland*, as it encourages coffee and tea lovers to reduce their use of disposable cups, and consider using a ceramic or reusable coffee cup instead. While many disposable cups carry the recyclable logo, the actual cup is not currently recyclable in Ireland and must be disposed of in general waste. The logo refers only to the rigid plastic lids and the cardboard sleeves on some cups, which can be removed and placed for recycling. Waste Prevention Officer with the Southern Region Waste Management Office and Recycling List Ireland’s Pauline McDonogh said, “As disposable cups are made largely from paper many people believe they can be recycled, but unfortunately this is not the case. These cup are lined with plastic polyethylene which is fused to the paper making the cups waterproof but also difficult to recycle. 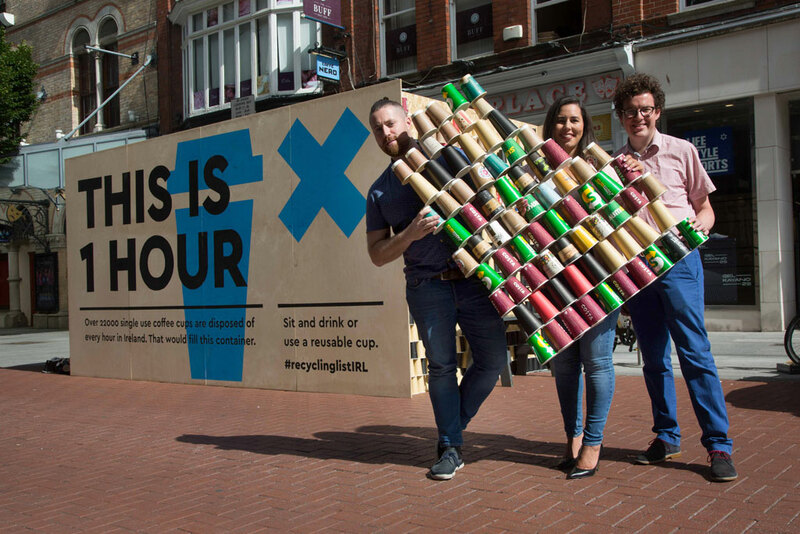 “As many as six single use coffee cups are disposed of every second in Ireland, which results in a lot of non-recycable waste in the form of 528,000 single use cups every day. Right now the only way to combat this waste is to reduce our dependency on these single use coffee cups,” explained Ms McDonogh. 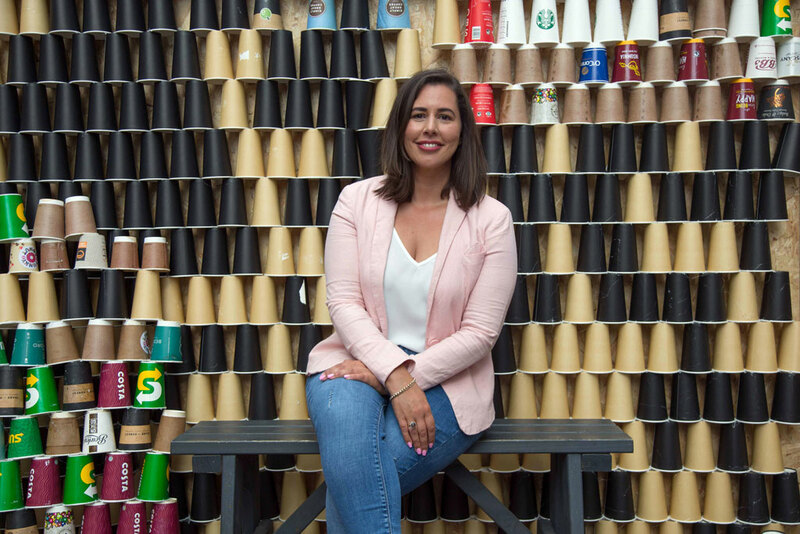 “It is worth noting that more than 1,000 cafés in Ireland are now giving a discount to consumers with a reusable cup so long term a reusable cup can make environmental and economical sense. Participating cafés are geo-tagged on www.consciouscup.ie,” she added. 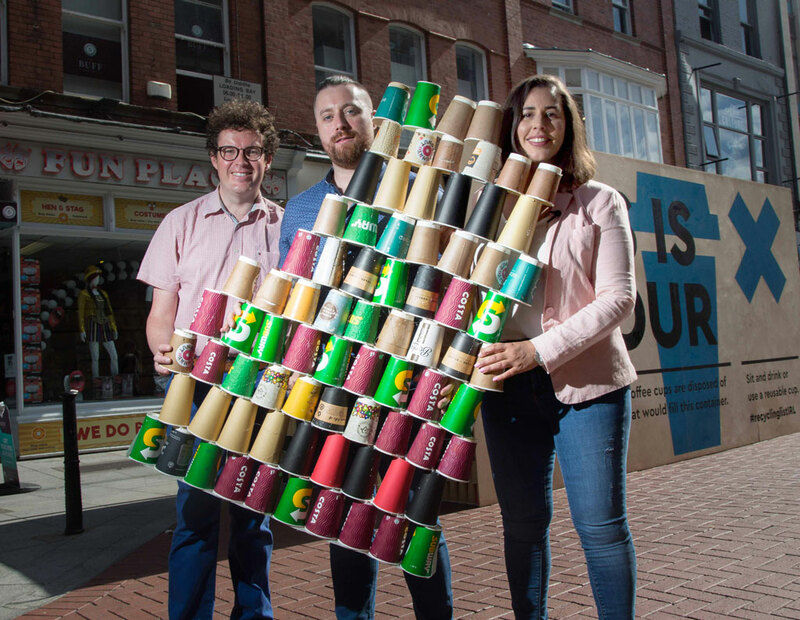 Supporting the call for less single use cups Physicist and Assistant Professor in Science Education at University College Dublin Dr Shane Bergin said, “Since the 1950s we have made 8 billion tonnes of plastic. It is very easy and inexpensive to make plastic and to shape it into anything. It is however extremely tough to get rid of. 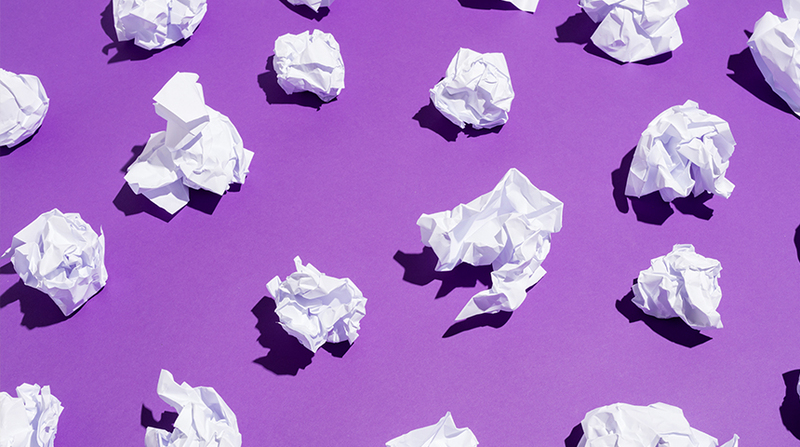 “The demand for single use plastic and cups is driven by customer demand. As customers we need to consider the effects of the convenience of a disposable cup on the environment and look to alternative ways to have our coffee and teas,” added Dr Bergin. “Some companies have started to offer compostable cups, but it is important to note that these cups cannot be disposed of in the recycling bin either. They must instead be put in the compost bin for disposal by a professional waste collection company. These cups do not break down naturally the way an apple does for example, they only work if they are disposed of in a food waste recycling bin and processed in a commercial compost facility,” he explained. Disposable cups are not on Recycling List Ireland. For a full list of the rigid plastic, tins and cans, paper and cardboard that can go into Irish recycling bins see https://recyclinglistireland.ie.